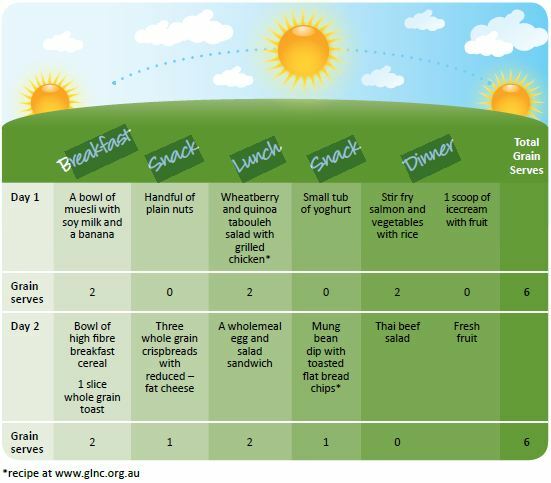 A factsheet has been developed to help explain the changes in core grain food recommendations in the 2013 Australian Dietary Guidelines. To download a copy click here. GLNC recommends people enjoy grain foods 3 – 4 times a day, choosing at least half as whole grain or high fibre. 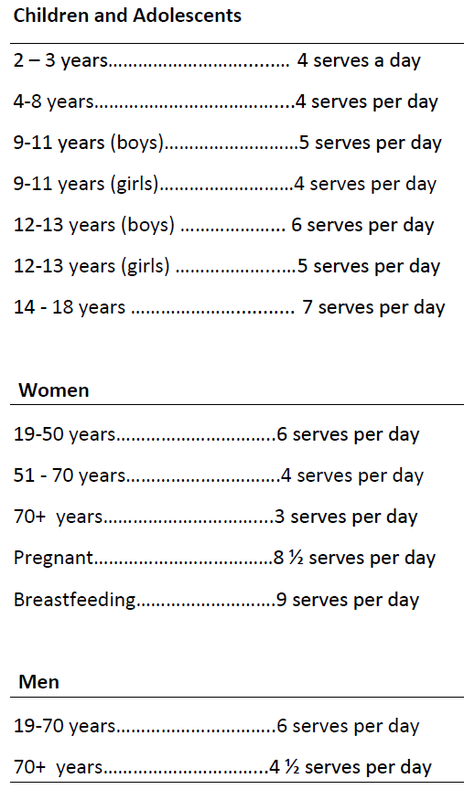 This is because people often eat more than one serve in a meal (see the meal plan below). To help guide people on the amount of whole grain to eat to reduce risk of disease, GLNC established a whole grain Daily Target Intake in 2006, click here for further information.